Dreaming of a move to Greece, with the beach on your doorstep and the perfect home, perhaps with a pool or some land? Well, the good news is that this doesn’t have to just be a dream – you can easily make 2019 the year you start your new life overseas. Brexit may be on the way, but the door isn’t going to shut. The requirements will be different, and you’ll need to jump through some loopholes, but with advice from us and expert lawyers, currency specialists and mortgage brokers, you really can turn your dream into reality. Best of all? We’re giving you all the advice you need in our six-part series over the next few months, so you’ve everything you need to purchase safely and confidently here in Greece. Is 2019 a good time to purchase in Greece? Absolutely! The Greek market is recovering, and has shown a continuous uptick of 0.8% since the bailout ended. However, although the market is strong, prices are much lower – still 42% below their 2008 peak. That means excellent value for people buying a home here, combined with the security of a stronger market. Plus, as rising property prices imply, the Greek economy has turned a corner. It exited bailout in August and has now had two years where government revenue has exceeded spending. Plus, exports have risen 35.5% since 2015, according to the Hellenic Statistics Authority. The situation is still being ironed out, but essentially, the message is not to worry as a property-purchaser. If you buy here after the deadline, you may need to apply for visas. However, there is no reason for that to be difficult or expensive, as you’re investing a sizeable sum of money into the country. Greece is extremely encouraging of foreign investment, and not just from the EU. Over 1,000 Chinese nationals were granted Greek permanent residency in 2016-17. If you are there before the end of the implementation period and have registered as resident, you’ll retain your pre-Brexit rights for at least five years. Not only that, but these will extend to your parents, spouse and dependent children, as well. 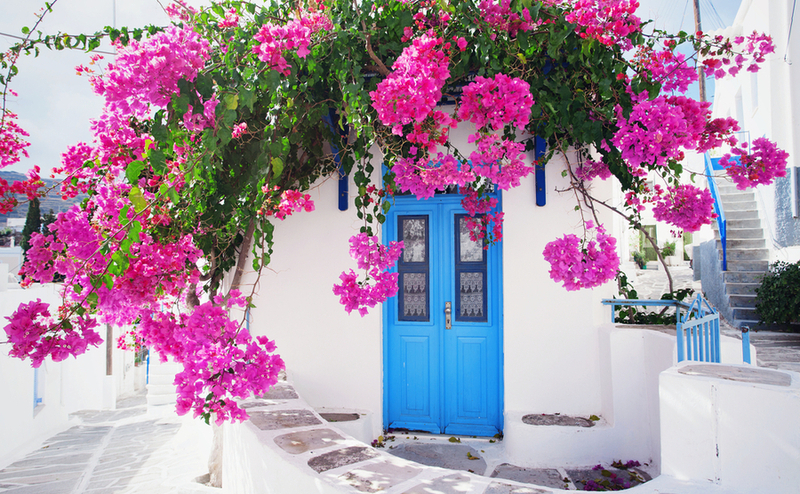 Deciding on what you’re looking for is the first step of a property purchase in Greece. Greece is extremely encouraging of foreign investment, and not just from the EU. Over 1,000 Chinese nationals were granted Greek permanent residency following property purchase under the ‘Golden Visa’ scheme in 2016-2017, for instance. This scheme should also be open to British residents after Brexit; it provides residency in return for the purchase of a property over €250,000. So, how do you get started? The first thing to do is to sit down with a pen and paper (or computer) and start working out what you’re looking for. That way, you’ll be able to start your search in a much more targeted way. Discover your free Family Buying Guide to find out how joint ownership can halve the costs (and double your purchase power). Start by asking yourself these five key questions. 1. Why are you buying? You know you want to live in Greece – it could even have been a long-held dream. But articulating and analysing why exactly can help direct you (and you could even find you understand your own motivations better by doing this). Our pension will go further. We want a place to have great holidays with the family. Property investment could be a sound idea. We want more space, sunnier weather and warmer temps. I don’t want to look back with regret in later life that I didn’t make the move. 2. What will your property be for? This is a key way to really drill down into what your dream home needs – so you’re not distracted by nicely packaged and marketed properties that you later regret. You need to work out a realistic idea of your budget. Include around 10% for buying costs. If you want somewhere as a holiday home, for instance, you might want to be close to an airport. For a permanent home, however, you might want to take advantage of lower prices by being slightly further away. You could buy with family to share costs, or use other ways to raise more money, but you still need to work out a realistic idea of your budget. Include around 10% for buying costs. Above all, remember that the exchange rate is always moving, and the interbank rate shown on the news isn’t available to the general public. Get a realistic idea of what you can afford with a free, no-obligation quote from our partner, Smart Currency Exchange – the only currency company specialised in overseas property. 5. What are the must-haves? What is absolutely crucial in your Greece property? Do you want a pool you can enjoy every day? A seaview or perhaps easy access to shops and restaurants? How many bedrooms? Open-plan or separate rooms? 5. What are your ‘no’s? Work out also what you don’t want in your property – this will help your agent to eliminate ones that will be unsuitable. Perhaps, after all, you don’t want the maintenance of a pool, or you’re not interested in a large home. Perhaps you don’t want a turnkey property, but would rather have one to do up yourself. Stay tuned for Part 2, coming in your next Greece Property Guides newsletter. 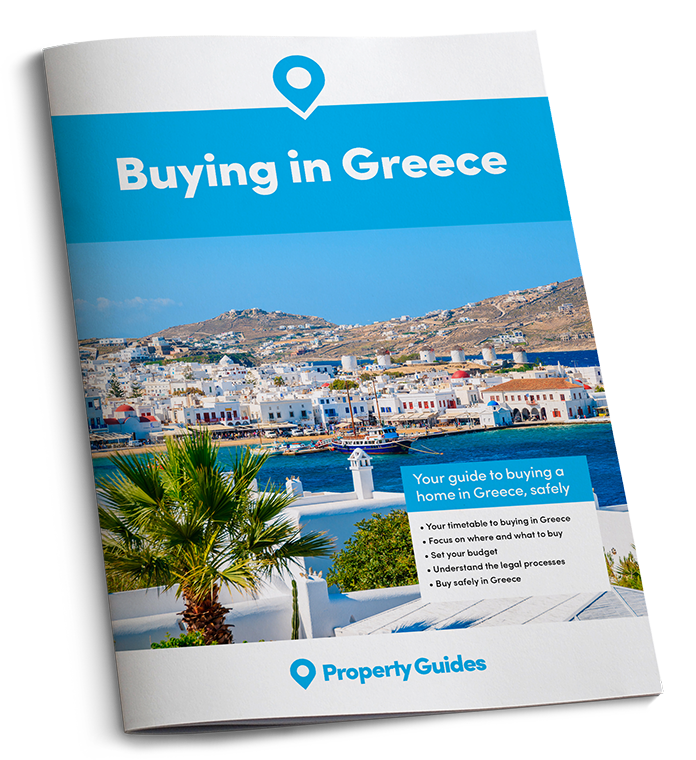 And, in the meantime, if you have any questions about buying here, your Greece Property Specialists in the London-based Resource Centre are just a phonecall or email away, on 020 7898 0549 and greece@propertyguides.com.